Тем временем движение противодействия феминизму крепнет и уже собирает деньги на адвоката для лживо и по-советски обвинённого в изнасиловании Вика Миньоны (голос Кроу в RWBY) https://www.gofundme.com/vic-kicks-back "Vic Mignogna spent the past two decades building a career as a voice actor. He worked with great people, made great friends, and represented great companies. Over the past month, all of that work and goodwill was maliciously and brutally destroyed by a dedicated group hell-bent on dragging his name and reputation into oblivion. This capped off with hurtful allegations from people Vic has worked with, and considered friends, for many years. Now Vic has been removed from Rooster Teeth and Funimation, and disinvited from several conventions, disconnecting him from his income and from his fans and supporters. Vic has tried to mitigate the situation with public statements, and the attacks on him and his character persist. Anyone who knows Vic knows he would never ask for this, and does not want this course of action. When your opponents leave you no choice, you eventually have to kick back. This Fund is set up for Vic&#39;s legal defense fees. There are MANY possible defendants in different jurisdictions, from boring bloggers to multi-million, even multi-billion dollar corporations. It takes an agile and experienced (read: not cheap) legal team to coordinate this kind of strategy. I AM NOT REPRESENTING VIC IN A LEGAL CAPACITY, but I am aware of the team who is and will coordinate this fund to pay for Vic&#39;s legal fees. Litigation costs are highly dependent on the actions of your opponents, so I&#39;m hoping to raise enough to account for that. We will announce the disposition of any extra funds candidly and provide updates on the usage of funds to the extent that such information can be made public. You know Vic, whether you&#39;ve supported Vic for years, or just recently found out about his situation, you know he&#39;d never ask for this. That&#39;s why I am doing this and he is not involved. He is thankful for prayers and support but, in my professional capacity as an attorney, I know this comes at significant financial cost. BUT IT&#39;S TIME TO FIGHT BACK. Brigades of pseudo-anonymous keyboard warriors cannot be allowed to defame and destroy decades of goodwill on rumor and unverifiable allegation. Companies cannot rely on non-credible accusations and devastate a career for virtue points. Help Support Vic. Help Vic Kick Back." И одна фирма решила не взбираться на идущий под откос состав феминизма, а вспомнить о презумции невиновности: https://www.oneangrygamer.net/2019/02/fantasy-soft-stands-with-vig-mignogna-says-hes-innocent-until-proven-guilty/77366/ "“Concerning all of the allegations against Vic Mignogna and Todd Haberkorn, we’ve decided to stand with them until we see concrete evidence of wrongdoing. To our knowledge, there are zero police reports and zero formal complaints. Until then, Vic and Todd will always have a home here at Fantasy Soft Entertainment. No matter how big or small we’ll become, we will stand up for our employees and won’t throw them under the bus. “It is innocent until proven guilty, not the other way around.”"
RWBY Vol 5 Completed. Без Монти уже не торт. RWBY Vol 5. 01. Что-то не то стало с анимацией. https://www.kickstarter.com/projects/roosterteeth/rwby-combat-ready/ "RWBY: Combat Ready is a cooperative board game where 2-4 players join forces to take on fierce RWBY villains and slay monstrous Grimm! Here at Rooster Teeth, we have created great shows like Red vs. Blue, RWBY, Camp Camp, and more. We took our first step in the physical game industry in 2016 when we crowdfunded and created the party card game Million Dollars, But… The Game. This year, we’re taking a massive leap forward and trying our hand at a board game. To leap into the world of board games as strongly as possible, we needed an amazing guide and developer with us. RWBY: Combat Ready is a joint creation between Rooster Teeth and Arcane Wonders, creators of other great board games like Sheriff of Nottingham, Mage Wars, and Viral. Stories have been written, art has been drawn, and original characters have been created in every shape and form. Now you and your friends can each play as one of the four main RWBY characters. Be Ruby Rose and rise to victory with her Crescent Rose; slice and dice the Grimm as Weiss Schnee, wielding her Myrtenaster; join in and fire from afar as Blake Belladonna with her Gambol Shroud; or leap in and create massive explosions as Yang Xiao Long with her Ember Celica. 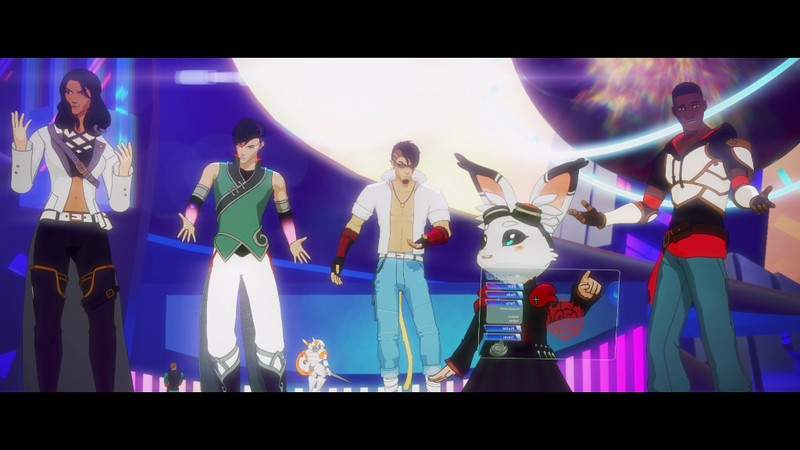 We’re making RWBY: Combat Ready, but we’re not able to do this alone. We need your help. We have a game idea, basic pieces, and a board, but we still have the ability to upgrade and mold this game to fit what everyone wants. Better pieces? More creatures to fight or heroes to play as? Every pledge from you amazing Backers can help shape RWBY: Combat Ready to be a board game that RWBY fans and board game enthusiasts alike want to play. We have a super cool How to Play video coming very soon featuring the cast and crew of RWBY and RWBY: Combat Ready. RWBY: Combat Ready is an exciting cooperative game for 2-4 players. It captures the flavor and excitement of the series, with fast-paced battles where all players are actively involved and engaged at the same time. Players play as one of the four main heroines in the series: Ruby, Weiss, Blake, or Yang. Each player has their own separate deck of cards representing their attacks, actions, and moves. Each character plays a little differently, using their own unique tactics and strategies. Before each game, players choose a scenario to play from the scenario book. Each scenario will have them fighting one or more battles. Battles are against a particular villain, with a particular set of rules, and may include one or more objectives. No two battles are ever the same!" https://twitter.com/RoosterTeeth/status/912466754194034688 "Our first board game, RWBY: Combat Ready, is coming to Kickstarter on September 27th! " Моё лицо после 4го сезона: http://i.imgur.com/tBIgVjY.png 5ый только осенью. Досмотрел третий сезон. Какая-то жесть там пошла без Монти Оума. Вотэтоповороты, страдания, что Окада нервно курит в сторонке, герои начали помирать. 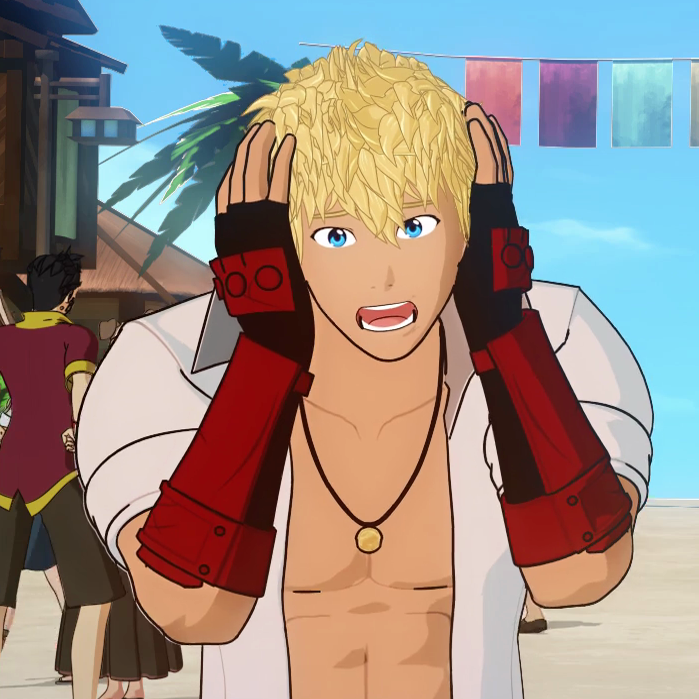 http://www.ew.com/article/2015/10/22/rwby-season-3-rooster-teeth "Many RWBY viewers also felt a special connection to the show’s creator, Oum. “Cosplayers especially, they loved Monty,” says Jones. “He was the first person to be like, ‘I’ll design characters specifically for cosplayers.’ He’d make sure you can buy those items, make sure you can be properly equipped, so fans took to that immediately.” “He made sure that every character had very functional pockets,” continues Rooster Teeth director of animation, Gray G. Haddock. 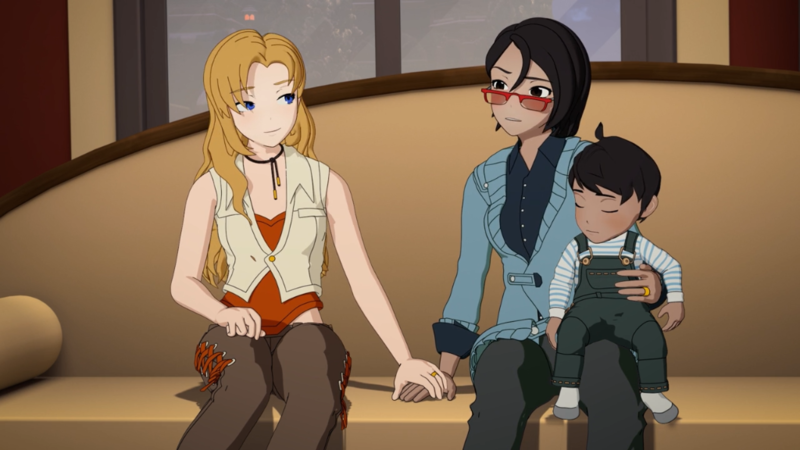 “So, cosplayers going to conventions had places to put their keys and wallets and so forth.” ... Oum’s death also devastated the remaining RWBY team, who had lost both their friend and the show’s main creative force. Haddock explains that, at the time of Oum’s death he had just begun work on planning season 3. “We were between seasons,” he says. “He had barely gotten started when we lost him. We do hope to have a couple of shots here and there throughout the season that we’ll be able to point out to the fans later: ‘By the way, that particular moment right there, that was a Monty shot.’ [But], for the most part, volume 3’s animation is from scratch, without him.” The good news was that, before his death, Oum, Shawcross and another member of the Rooster Teeth family, writer Miles Luna, had mapped a dense outline for several upcoming seasons. “Before we were even generating scripts, we were building the show bible,” says Luna. “We were laying out this adventure that our characters would go on.” “Monty had ideas for seasons and seasons,” says Jones. “He was like, ‘Ruby’s going to do this.’ I was like, ‘When? What year from now is that happening?’” The particular adventure dealt with in season 3 is a tournament involving both our heroines and newly introduced fighters. “The second we were like, ‘Cool, we’re making this show,’ we said, ‘We’re going to have a tournament, right?’” recalls Shawcross. “So that’s the big thing this year.” “The tournament is like the Olympics of our crazy world,” adds Luna. “It’s going to be a lot of fun to see some of our favorite characters pitted against each other, and against people from other kingdoms, and far-off lands. It is a lot of fighting. There is more fighting than any other season — maybe combined.” Haddock admits he is trepidatious about how season 3 will be received by fans but is personally satisfied that the team is doing everything it can to continue fulfilling Oum’s vision. “On the animation side, we have some animators that had been mentored by Monty over the last several years and it was basically now their time to grow up a little bit faster than anybody thought they were going to have to,” he says. “But I couldn’t be prouder — everyone is rising to the occasion. They want to do right by Monty. They want to make sure that the fans still think that the show looks and feels like it’s supposed to. It’s a challenge, it’s a struggle. But everyone’s doing their best.”"